And in Europe, the Greek debt crisis again intensifies, perhaps spiraling out of control. Greece has a bond, apparently about $14.5 billion, due in February, which it apparently doesn’t have the money to pay. 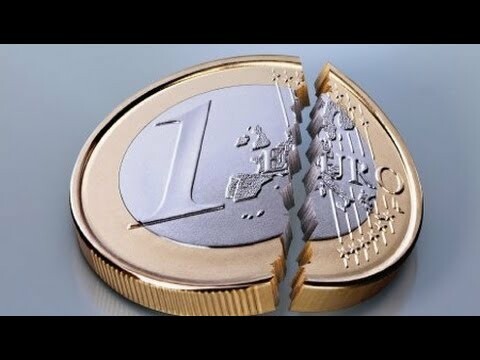 The IMF, the European commission, and the European Bank are all in Greece trying to renegotiate, again restructure Greek debt. But are we on the edge of a Greek default? If we are, what does that mean to the EU? And if this thing continues to intensify, what does this mean for the global economy? Now joining us again is Leo Panitch. He’s a professor at York University in Toronto. Thanks for joining us, Leo. JAY: And I should plug your most recent book. Tell us. It’s just coming out. Tell us again. PANITCH: It’s called The Making of Global Capitalism. The subtitle is The Political Economy of American Empire. PANITCH: And it’ll be out with Verso this summer. JAY: Perfect. Alright, Leo, so what do you make of this next step? Once again we’re hearing Greece may default. We keep hearing there’s a solution, and it turns out there is not a solution. PANITCH: Well, Greece has already defaulted on some of its debt. The arrangement that was worked out with some of its bondholders (which are very large European banks, in part) a few months ago, that they would accept 50 percent on the bonds that came due then, was effectively a default. But the import thing is that that gets defined, when the bondholders agree, as a voluntary acceptance of that 50 percent discount. So it’s not in fact a involuntary default. Why does this matter and why has it come up again? It matters because all of these banks have taken out insurance policies on Greek and not only Greek bonds. And these are what derivatives are known as. They bought these credit default swaps, as these kinds of derivatives are known, which means that if Greece, they don’tâ€”there isn’t a worked out a deal for how much Greece will actually pay them and they can’t pay them the full amount, then what triggers legally is that the people who are the counterparties to these derivatives, from who, if you like, the banks have bought the insurance, will then become responsible for paying these bondholders what Greece would have paid them. And that will have a triggering effect on all kinds of other financial institutions, including those on the other side of the Atlantic, and indeed on the other side of the Pacific. So the thing here is not Greece anymore, and the negotiations behind the scenes aren’tâ€”it doesn’t matter so much in Greece. What Greece does, what they’ll guarantee is a factor, but in fact they’re in silent negotiations, secret negotiations with the bankers around the world. And the crucial thing is what will be the legal language. Will the legal language be that the bondholders accept Greece not being able to pay and working out how much they will pay? Or will this be an involuntary default, in which case all these derivatives and their payments that go with them will be triggered? And then you’ll have a knock-on effect around the world. But that’s what’s going on. JAY: So why do they seem so incapable of resolving this? If you have what you call the knock-on effect, I assume this sends the global economy into a terrible downturn. I saw a commentator the other day, right-wing commentator saying, you know, everyone’s kind of assuming Obama will likely win this election in 2012, except if the euro crisis spins out of control and we go into a much deeper recession. The implications are so serious. Why are they seeming so incapable of resolving this? PANITCH: Managing the global capitalist economy is no easy thing to do, Paul. I’m sure you have plenty of headaches managing The Real News. Imagine what it’s like to manage the global capitalist economy, which primarily the American stateâ€”the Federal Reserve and U.S. Treasuryâ€”are responsible for, and when you have not only the ruling class and establishment in Wall Street to call together into the boardroom of the Federal Reserve Bank of New York and read the riot act to them and say, listen, you guys, you’re going to bring yourselves down and everybody with you unless you agree to this arrangement, which is what they did a number of times, for instance, when the default of Long-Term [Capital] Management was going on in 1998, when the default of Korea was taking place a year earlier, when the Mexican peso crisis happened in 1994. It isn’t just a matter of calling those guys in; it’s a matter of calling in all of these financial actors, even if they’re still very large financial institutions, European banks, etc., and getting them all to agree. That ain’t easy. Now, and why it’s so difficult is that each of the banks are, of course, afraid that if they take a default of 50 percent and agree to that and their competitors don’t, then theyâ€”and the whole thing doesn’t come apart, then they look bad in terms of their bottom line vis-Ã -vis another competitor. So this is part of the irrationality of capitalism and the enormous difficulty that states have in containing the crises that financial capitalism throws up. Now, one more word on this. The American stateâ€”this is what my book is aboutâ€”has taken responsibility for the last 30, 40, 50 years for its being burdened with the main responsibility of trying to contain capitalist crises. The German state has ridden on the American backs and not taken that responsibility. They’ve all been in favor of globalization. The German state was the central actor in creating the neoliberal common market, in creating the conditions that caused this crisis. Having said that, it has never wanted to take responsibility for containing crises. It’s constantly intoned this phrase moral hazard, which is that if they intervene in this way, then the discipline of the market isn’t operating. And it’s because partly they were ideologically far more committed to Hayek, the neoliberal great economist theorist, than the United States ever was. And we have this illusion that Germany was a more interventionist social democratic state. That was never true. So they’ve ridden on the backs of the Americans. And there’s an enormous fight going on inside Germany. Part of it has to do with the German populace saying, we don’t want to bail out those dirty Greeks, with an element of racism associated with this. But part of it is the German establishment and their Hayekian commitment, their neoliberal ideological commitments. JAY: Well, in the endâ€”I mean, by the end I’m meaning over the next yearâ€”I don’t see how the American state, one, is the manager of global capitalism, but even more specifically the Obama administration trying to get reelected. I mean, you know, some people here have said the only quick fix here is the Fed needs to step in and buy up a bunch of these European bonds. PANITCH: Absolutely, Paul. And the Fed has been doing that. One of the reasons you have quantitative easing in the United States and have had it for the last three years is that the money that the Fed has made available to American banks that they were then lending to European banks to tide them over in the overnight borrowing market, but also via this derivatives trading [incompr.] in the recentâ€”in the last year, especially since last summer, they’ve gotten very dubious about doing that lending, because they’re not sure the German or other European banks will be able to pay them back if the whole thing begins to trigger a domino effect. So the Fed and the Treasury are intimately engaged with the European Central Bank, with all of the finance ministries. They are on the phone constantly. Geithner has been at meetings with European finance ministers. The point is that this isn’t easy to do. I think in the end they’ll probably contain it, but what you see here is the enormous headache that states have (and they don’tâ€”they aren’t transparent about this, of course) trying to make, create some reason in what are essentially irrational global financial markets. JAY: So are they running out of solutions? Like, you know, they talk aboutâ€”. PANITCH: Yeah, the whole thing could blow up in their faces, and if it blows up in their faces, yes, we will be facing not only the very long stagnation we’re facing in any case, but possibly a quick descent into a depression. That said, you know, the global economy is not an airplane that crashes and burns and then we are all dead. We’re not talking about a nuclear disaster here. We will be living in an uglier, dirtier capitalism. And without the political vehicles to do something about this, to get out of it, we’re screwed. But it doesn’t mean the end of the world. It simply means that there’ll be more people unemployed. JAY: So people listening should come to what conclusions about what they should do, ’cause it sounds like the elites of the world may contain things for a while, but maybe not in the long run. PANITCH: Yeah. One, they should not be so cynical about bailouts. And part of the trouble is that we’re in the hostage to these bloody ruling classes so centered around finance that control everybody. But in the longâ€”well, one, in the short term, they need to get Occupy going again. They need to scare the hell out of these politicians, and not only in the United States, but also in Europe. In the longer term, they need to be developing the kinds of political organizations that could be a factor in the next American or, indeed, German election or Greek election, so that people are actually putting forward a socialist alternative. And that doesn’t mean waiting for 50 years for socialism. It means, for instance, being prepared to introduce capital controls in Greece and in Europe, and cooperatively if possible, so that if Greece introduces capital controls and people try to take even moreâ€”Greeks try to take more money out of Europe than they’ve already been doing, ’cause most of the capital flow out of Europe has been Greeks themselves and rich Greeks trying to do it, then Germany or France wouldn’t allow that moneyâ€”or Wall Street wouldn’t allow that money to be transferred to them, because they were breaking Greek law. This is the kind of stuff that’s needed, but everybody is quaking in their boots amongst these financial actors, both governmental and private, that states who forswore capital controlâ€”. One of the things about all of the free trade agreementsâ€”and the European Union is one big free trade agreementâ€”is that states swore they would never reintroduce capital controls. Very likely out of this mess some state is going to be forced into reintroducing them. JAY: Yeah, even the IMF now is talking about the need for capital controls in certain markets. PANITCH: Yeah, but they’re talking about the need for the type of capital controls that would not involve the control of capital. [crosstalk] They’re talking about the type of capital controls that would massage the problem, thatâ€”you know, as in Chile’s. Ever since Pinochet, they’ve had capital controls that limit how quickly after you put money into Chile, whether you can take it out in six months or 12 months, and it slows the amount of money that’s coming in. We need the type of capital controls that are far, far more extensive, the type of capital controls that existed in war time and that aren’t only about blowing money in and out but about governments of a democratic kind being involved in deciding what’s invested and where it’s invested and how it’s invested. In Canada, we knew this as the Foreign Investment Review Agency, when they would have to even go further than that. That’s the type of thing that some states may be forced into and that socialists, and indeed progressives of any kind, should be putting forward at the moment. I do want to add one thing here. This isn’t only about what these terrible capitalists and imperialist states are doing to Greece. It’s extremely important to recognizeâ€”and Gus the barber, my barber here on Bloor Street, who’s a great Greek guy, understands this very well, what the Greek people themselves, and especially the wealthy in Greece, but not only them, opted for when they get into the European Union. They all thought they were going to become rich. They all thought they could invest in the stock market and turn themselves overnight from workers into little capitalists. I remember being in Athens when there were lines outside of the new Greek stock market stretching for miles of people trying to get in and buy stocks. They’re now all taking a bath. Now, it’s true most of the money that’s flowing into Greece are the rich shipowners’ and other capitalists’, who have been taking money out by the truckload. That said, the problem doesn’t only lie with the wealthy; it lies with the Greek people, who thought that they could buy into neoliberal capitalism and get rich fast. They are learning a terrible lesson. And people everywhere need to realize that this isn’t only about the rich; it’s the extent to which ordinary people embrace neoliberal capitalism. And they’re now paying for that. JAY: Thanks for joining us, Leo. PANITCH: Happy to talk to you, Paul.